The new Olympus 14-42mm f/3.5-5.6 EZ zoom is a truly fun optic. The motorized zooming feature can be controlled with an "easy to grip" ring on the lens barrel, of via the Olympus Share iOS app (as I did in this video). The optic automatically extends when you turn on the camera, and retracts when you power down. This provides a nifty compact camera experience, even though this is a serious interchangeable lens system model. For even more fun, however, you might want to invest in the Auto Open Lens Cap that reveals the front optic on powering up, and protects it when you turn off the camera. Add it all up, and you have a 28mm-84mm (equivalent) zoom that is less than an inch long and weighs only 3.2 ounces, can be controlled remotely with your mobile phone, and accepts a nifty auto lens cap accessory. 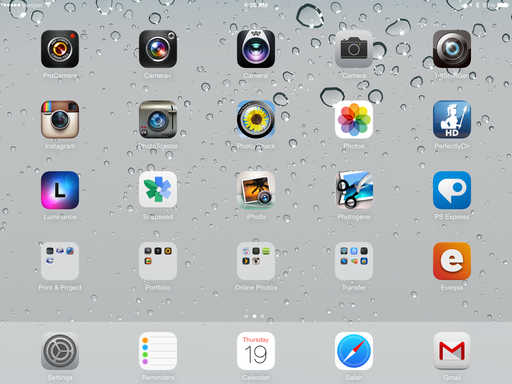 Do You Need to Color Calibrate Your iPad? I just read a post on Pop Photo about the X-Rite ColorTRUE Mobile App. The goal is for photographers to be able to calibrate their iPad screens for presentations. My question is: "how necessary is calibration for your mobile device?" For years, we've been publishing our images on web pages for the world to see. We prepare them as best possible. But once they hit someone else's monitor, we have no control over their calibration, luminance, or resolution. During this period, photography has grown in popularity. The iPad and its kin present us with another opportunity to share our work. I know for a fact that all of my mobile devices and computer monitors are not in absolute sync when it comes to color and tone. In a perfect world, I would love for everything to match. But the fact of the matter is, my images look good on each individual device. Overall, the color, contrast, and sharpness are pleasing to the eye. Plus, I'm showing images in a variety of lighting conditions (mobile device! ); there's no way I can calibrate for all of those scenarios. So, for 95 percent of my sharing, this uncalibrated workflow will have to suffice. I understand that there are photographers who need precise color representation on their mobile devices. And maybe they have more control over the ambient lighting conditions. For them, the X-Rite ColorTRUE solution might help. 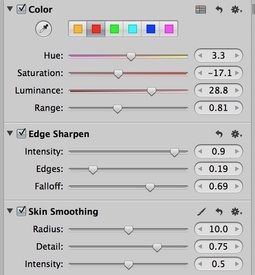 I'm curious to hear if you feel the need to color calibrate your iPad? If you want to share your thoughts on this, please visit our TDS Facebook page where this story will be posted. You can leave a comment there. This week on The Digital Story photography podcast: 5 Steps to Restore Old, Faded Photos; The Story of Two Lenses (and how they invigorated cameras I wasn't using); and Flickr Redesign in the Works - All of this and more on today's show with Derrick Story. In other news, Looks like we have a Flickr redesign coming within a few weeks. My favorite part of this is that the intrusive Yahoo nav bar will be eliminated. 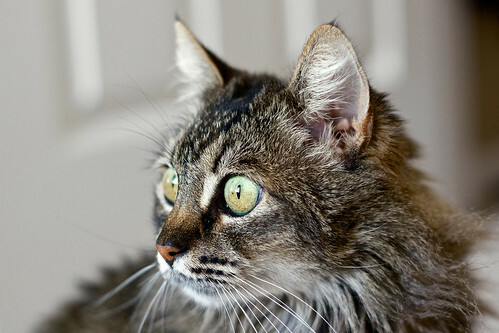 (PetaPixel). And finally, Michael Reichmann posted an essay on The Luminous Landscape titled, Why the Camera Industry is in The Dumper And What Can be Done About It. He cites buyer fatigue among the reasons. It's an interesting ready whether you agree with his points or not. (The Luminous Landscape). That's me sitting on the couch with a camera. My sister looks pretty bored, and my Mom doesn't seem to be in a portrait mood. Both Aperture and Lightroom have the image editing tools to breath new life into the scans of your faded family photos. Here's a quick overview. For more detail about these adjustments, see my article, How to Restore Old Photos in Aperture. Story #3 - From the Screening Room - Mikkel Aaland - Travel Photography: Seaside Road Trip Setting the Stage. This week's featured artist is veteran photographer Mikkel Aaland. I picked this title because Mikkel knows travel (I spent a week in Iceland with him), and we're coming in to the time of year where many of us have trips planned. You can watch Mikkel in action by visiting the TDS Screening Room at lynda.com/thedigitalstory. While you're there, you can start your 7 day free trial to watch other photography titles, plus every other topic in the library. Story #4 - The Story of Two Lenses (and how they invigorated cameras I wasn't using). The Pentax SMC DA 50mm f/1.8 lens is a handsomely designed, moderately priced, fast prime. I had read conflicting reports about its performance. Pop Photo gave it high marks, while the folks at SLRgear.com were lukewarm about the optic. I needed a fast, versatile lens for my Pentax K-5 that I use around the studio. So when the 50mm went on sale for $182, I jumped at the chance to buy it. After a few days of shooting, I'm leaning more toward the Pop Photo results. So much so, that I'm wondering if SLRgear got a bad version of the optic for testing. I'm primarily shooting between f/1.8 and f/2.8 here at the studio. Portrait at f/1.8 with Pentax 50mm. Photos by Derrick Story. I do think the lens is a bit sharper at f/2.8 than wide open. But that doesn't mean that it isn't crisp at f/1.8, and the artistic effect of the focus falloff is wonderful. Portrait at f/2.8 with Pentax 50mm. 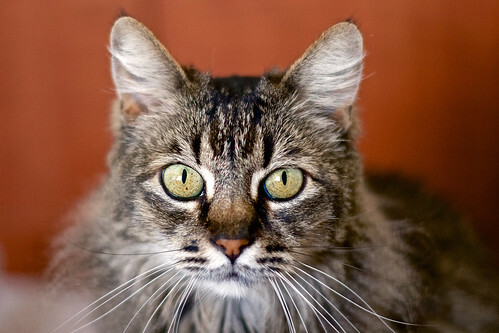 If I were going to complain about anything with the Pentax 50mm, it wouldn't be image quality. It would be the grinding sound of the AF motor. It's not a problem here at the studio shooting product shots. But I wouldn't want it at an intimate marriage ceremony. In those situations, switch to manual focus, which is quite nice on this lens. 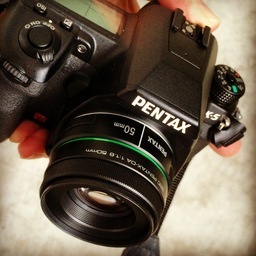 If you own a Pentax K-mount body, you probably will love adding the 50mm to your camera bag. It's light, good-looking, and provides excellent image quality. Just don't shoot in AF mode in quiet settings. The Pentax 50mm f/1.8 lens has a high Nimbleosity Rating. What does that mean? You can learn about Nimbleosity and more by visiting TheNimblePhotographer.com. No photo library is complete without old, color-shifted family portraits. You can breath some life into these pictures by using the image editing tools in Aperture. 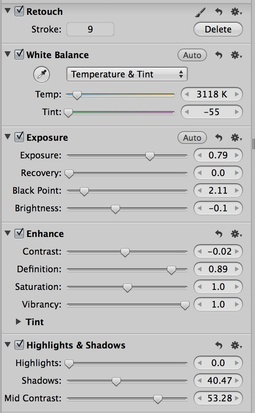 Remove Cast with Temperature and Tint - I use the eye dropper in the White Balance brick and click on a neutral area with Temperature and Tint selected. This helps remove some of the color cast. Improve Contrast - using the Exposure brick along with the Highlights & Shadows brick, I work on the exposure. 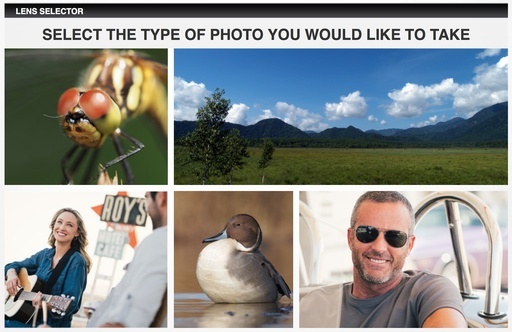 I find the Mid Contrast slider very helpful with old photos. Add Vibrancy - Once you've pulled the colors and exposure into a better place, restore some of the life with the Vibrancy slider. It will protect skin tones much better than the Saturation control. Attack Shadow Noise - These adjustments will almost always increase noise in the shadows. I use the Skin Smoothing brush on noisy areas. It works great. Tone Down Pesky Remaining Color Shifts - If you still have more color shift than you want, try using the Color brick and selecting an area with the eyedropper. Then you can adjust the hue and bump up the brightness. This is a nice finishing touch for color work. Fix Blotches with the Retouch Brush - Weird spots seem to appear during this recovery process. Use the Retouch brush to knock down those imperfections. Increase Definition and Sharpness - The Definition slider is an excellent helper with old photos. I usually move the slider pretty far to the right, then add some Edge Sharpening too. Your old photo is still going to look its age. That's OK. But by experimenting with these tools, you can wash away some of the years, improving the appearance of your historical document. 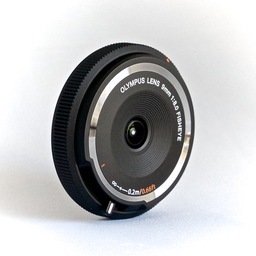 To learn more about using these tools in Aperture, check out my Aperture 3.3 Essential Training (2012) on lynda.com. 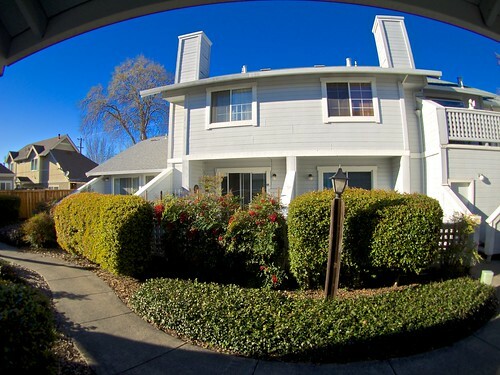 Also, take a look at our Aperture 3 Learning Center. Tons of free content about how to get the most out of Aperture. As we turn the corner from Winter to Spring here in the States, The Nimble Photographer breaks out some new goodies in the spirit of the season. 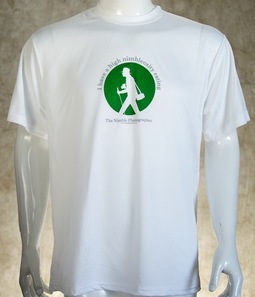 The Nimbleosity T-Shirt ($17.50) wicks moisture away from the body. Perfect for a day hike, bike ride, or Sunday afternoon stroll. Double-needle hemmed bottom, sleeves, collar, and arms. Only weighs 3.7 ounces and designed with 100 percent high performance poly fabric. 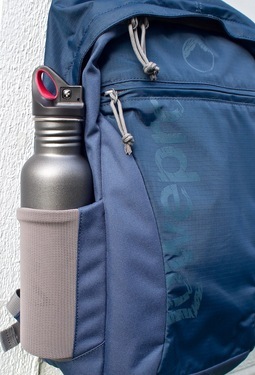 The Stainless Steel Water Bottle ($12.95) is crafted by Wenger. This handsome 26-ounce "clean water" bottle is perfect for an afternoon hike, bike ride, or as a companion while running errands in the car. The Walking Man logo is printed on the front in black, and Wenger is printed on the back. The matte finish for the bottle is charcoal gray. Kit includes D-Ring attachment. The Microfiber Cleaning Cloth ($2.50) keeps those sunglasses and camera filters free of grime and smudges. 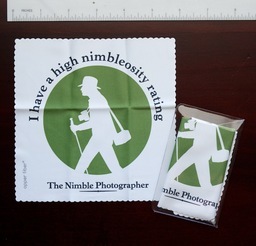 This cloth features our Spring 2014 Walking Man with "I have a high nimbleosity rating" circling him. Vinyl pouch included. Cloth measures 6" x 6". And if that wasn't good enough, free shipping for this item. While you're in the store, you may want to check out our popular Walking Man Cap, limited edition shoulder bag, and variety of T-Shirts. I like custom icons for my internal and external hard drives. They make it easy to quickly identify which is which on my desktop. The problem is, that when you reformat a hard drive, your custom icon will be replaced with a generic version. Not only are the generics not as attractive, but there's no visual distinction among the various units. Fortunately, it's easy to preserve your custom icon. Before you reformat the drive, use the Get Info command (CMD-I). In the upper left corner, you'll see the icon for your hard drive. Click on it once to highlight it, the go to Edit>Copy to save it to the clipboard. Go ahead and reformat the drive as normal. (Make sure it's backed-up first!) Then use the Get Info command again, click on the generic drive icon, and choose Paste. You'll have your custom icon once again. If you want to save your custom hard drive icons for future use, Open Preview (the app) and choose File>New from Clipboard. The entire family of icons will be pasted and you can save them as an .icns file. That way you'll never lose them. This week on The Digital Story photography podcast: Lowepro Pro Roller x200 AW Grand Prize; From the Screening Room: Ben Long: Shooting and Processing HDR; and on the Workshops Update: Sonoma Coast Photography Workshop Open for Business - All of this and more on today's show with Derrick Story. Story #1 - The Weekly Update: Getty and Flickr to cease partnership (DP Review) Even though the 6-year partnership ends, "Your status as a contributor to Getty Images is unchanged by this news. Your current agreement with Getty Images remains the same and agreements will NOT be terminated by us as a result of this change, no matter how few images you have on gettyimages.com." 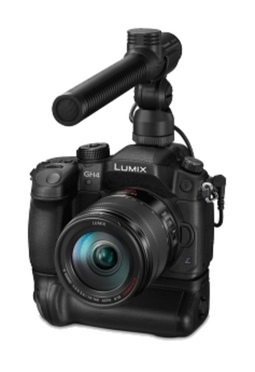 In other news, Ultra-high def Panasonic GH4 ships this May at a price enthusiasts can justify - $1,700 body alone and $3,300 with camera and interface unit together, which adds 4K HD-SDI output with timecode, XLR audio, and DC power, as well as a stereo levels display and physical levels controls. Should ship in May. (Imaging-Resource). And finally, iOS 7.1: The changes we love (and the ones we don't) Includes HDR auto, the camera automatically detects when an image might be improved by HDR, and shoots in that format. (Macworld Magazine). The send an email to derrick@thedigitalstory.com with the Subject line: Roller Giveaway and your name and social network addition in the body of the email. Please include your shipping address. If you're already a member of all three social sites, send the email and say so. Be sure to include your shipping address. Twenty-five randomly selected participants will receive the brand new "I have a high nimbleosity rating" microfiber camera cleaning cloth. 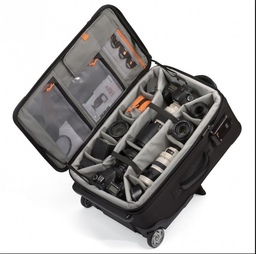 One participant will receive the Lowepro Pro Roller x200 AW camera bag. Only rules are that your email has to be date stamped before March 31, 2014, and if these sort of things are not allowed where you live, then I can't change that. In other words, void where prohibited. I hope you toss your hat in the ring. I can't wait to send out those cool Nimble microfibers, and of course the Pro Roller X200. Story #3 - From the Screening Room - Ben Long: Shooting and Processing HDR. This week's featured artist is expert photographer and all around great guy, Ben Long. Ben shows you the ins and outs of High Dynamic Range Photography in this week's title. You can watch Ben in action by visiting the TDS Screening Room at lynda.com/thedigitalstory. While you're there, you can start your 7 day free trial to watch other photography titles, plus every other topic in the library. Story #4 - Workshops Update - The Sonoma Coast Photography Workshop is scheduled for August 22-24, 2014. And let me tell you why this is such a wonderful event for enthusiast photographers.